Ready for what’s known as the best sweet cider on Earth? Tucked away on the winding country roads of Old Mystic, Connecticut, B.F. Clyde’s Cider Mill makes cider the old-fashioned way, using the last remaining steam-powered cider mill in the United States. Beginning in 1881, the sixth generation of the Clyde family continues the tradition making cider at this National Historic Landmark. 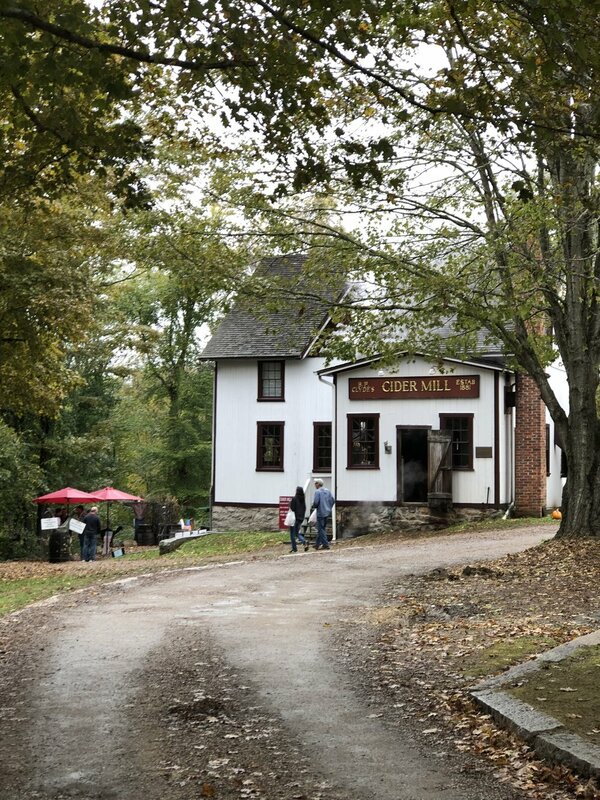 When arriving at the mill you’re greeted by large poofs of steam billowing from the victorian styled cider house, the smell of kettle corn roasting on an outdoor fire, and the occasional call of the steam whistle. 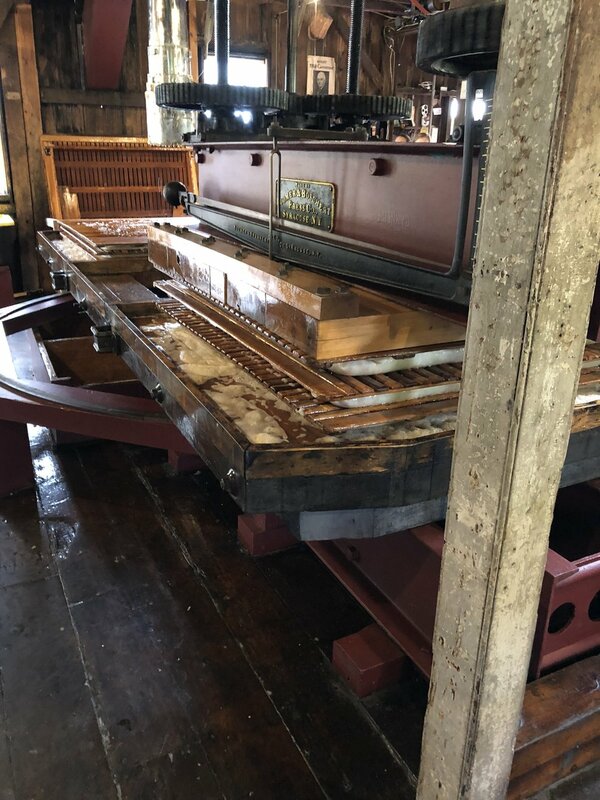 By stepping into the working mill, you’re taking a step into history as gears and levers turn and move powering the mill’s machinery milling and pressing local apples into rich cider. Throughout the process apples are milled and placed on cloth lined racks. The process is repeated as the racks are stacked upon each other and then pressed to release the apple’s juice. Once the press is complete, the racks are removed and placed on a table, that literally rolls out the door, allowing the mill’s team to repeat the process. Once you feel like you have the process down, head inside the mill’s shop. It’s where you’ll find hot cider, cider slushes, and of course, the essential, fresh-baked apple cider donuts. In addition to the classics, you’ll also find local and regional produce like honey, maple syrup, fudge, corn, and more! Then grab a seat on the outside wrap around porch and enjoy.